A True Equestrian's Estate! Gorgeous 56.83ac property with 3 separate -Diamond Mesh Fenced Pastures, Large Outdoor Lighted Arena, 6 Stall Stable with temp controlled tack room and New Nelson Auto Waterers in 3 stalls. 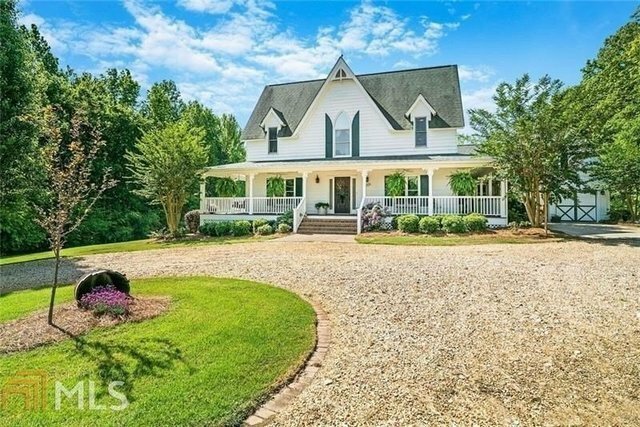 This Estate also offers a beautiful main house featuring hardwood floors, gleaming granite, large master suite with accent barn door leading to a beautiful Master Spa featuring a stand-alone clawfoot tub. This 6 bedroom home offers charm and comfort with all the modern conveniences. The 1892 guest house offers a new electric heat/air system. Welcome Home!